Man owes photography a lot. 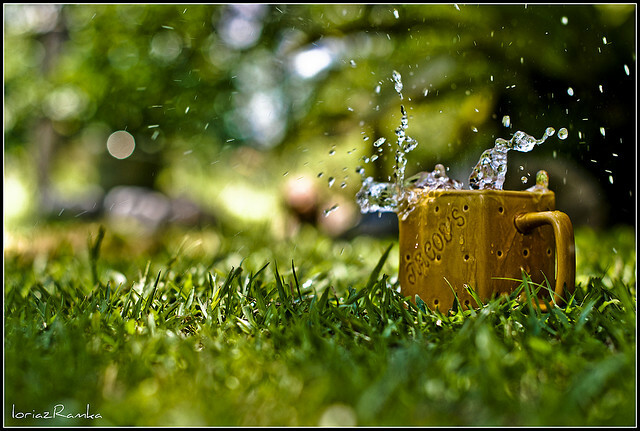 We can capture the great moments of life and preserve them, courtesy of photography. With advancements in technology, photography evolved; with fil cameras giving way to high definition, digital ones. 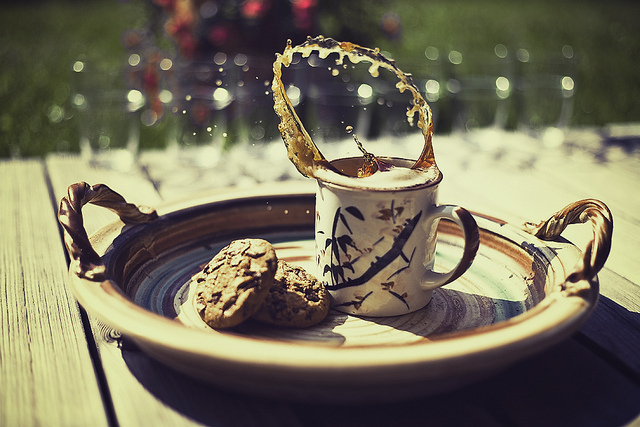 Another form of photography is Hugh Speed Photography. This includes capturing images of a really fast phenomenon. There are many different images that can wow us. 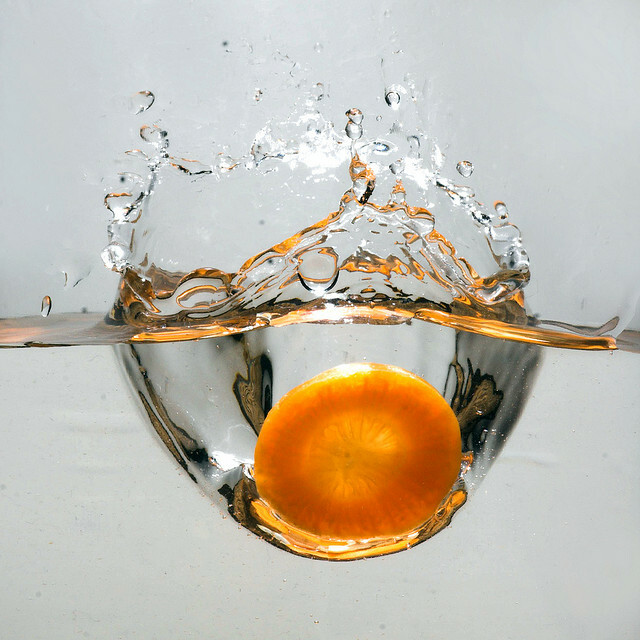 Water splashes are included in them. 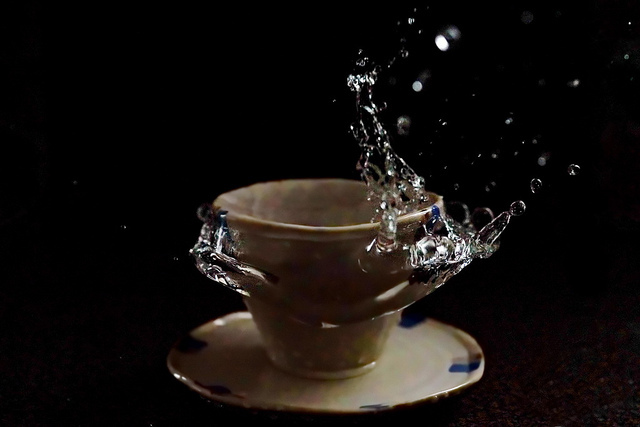 When certain object hits the surface of water, it disturbs the water’s equilibrium and thus creates a splash. 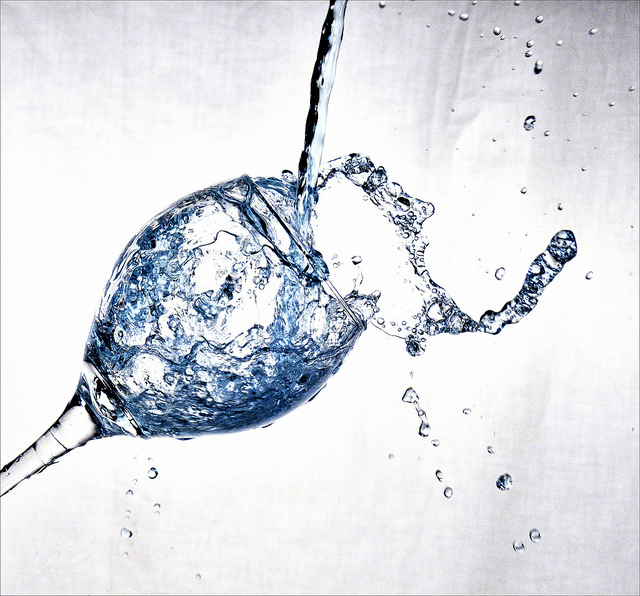 High definition video footages of water splashes in various forms create a magnificent site. 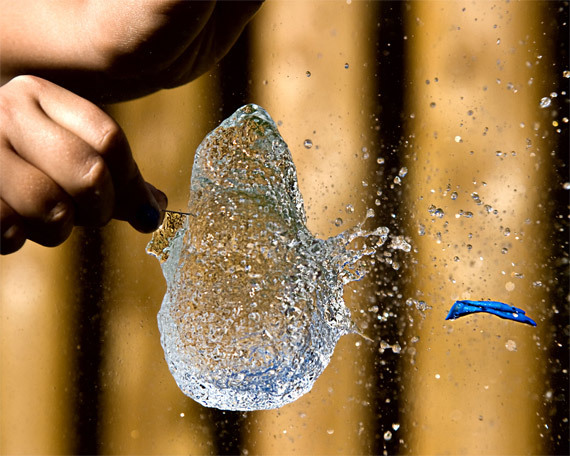 However, using a still camera to capture these splashes requires a really professional and experienced hand. One such project caught my attention recently. 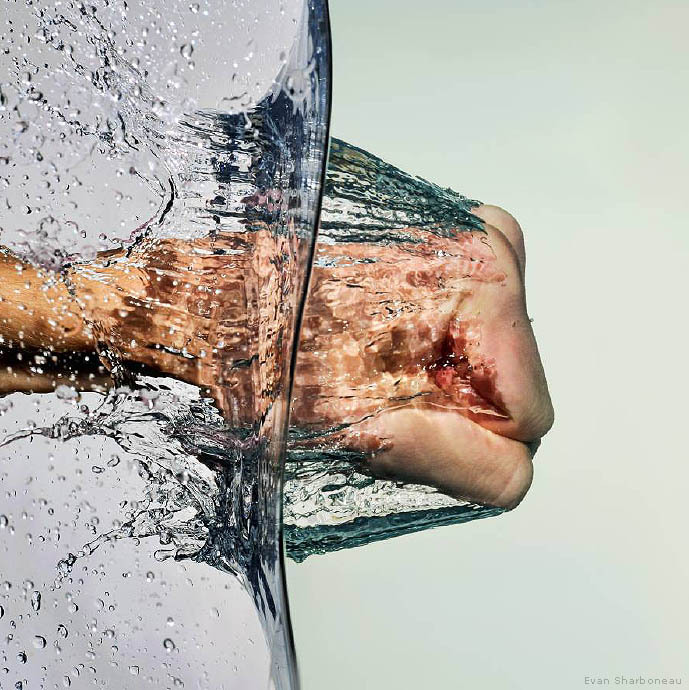 The photographer has done justice to both the field of photography and the beauty of water. 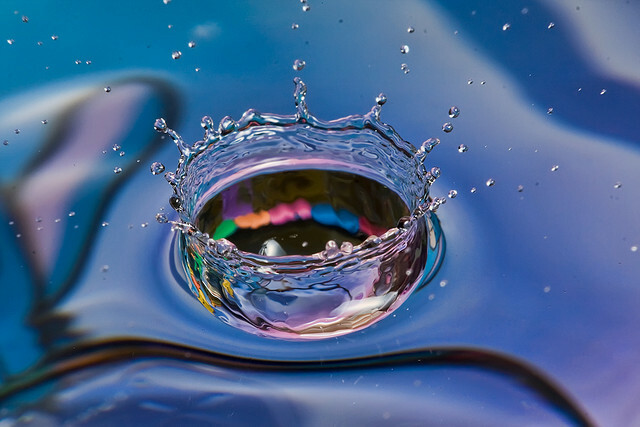 In a series of amazing images, the photographer captures various water splashes, created as a result of an impact with different things. 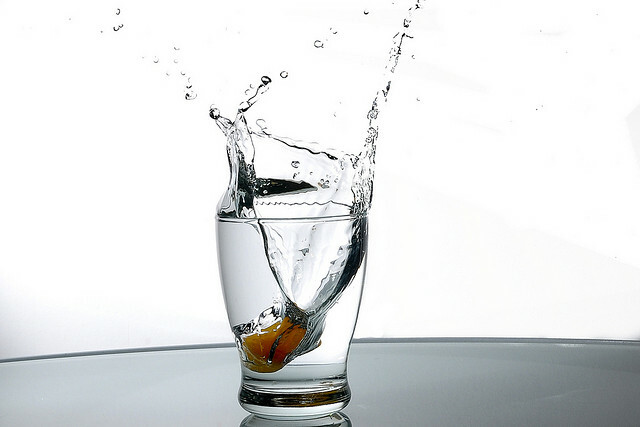 One image shows a glass full of water showing its splash after a strawberry was dropped in it. 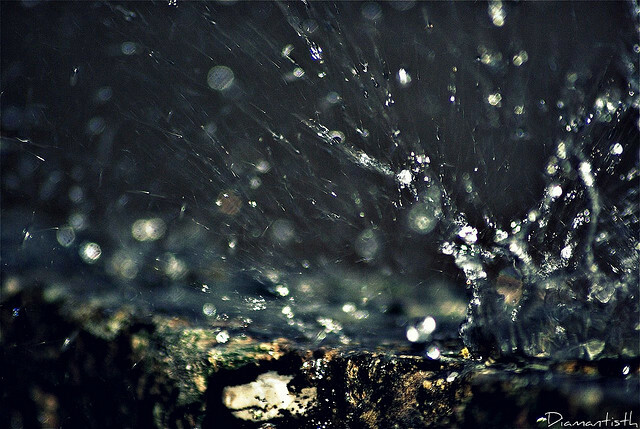 The little droplets emanating from the splash shine as diamonds. 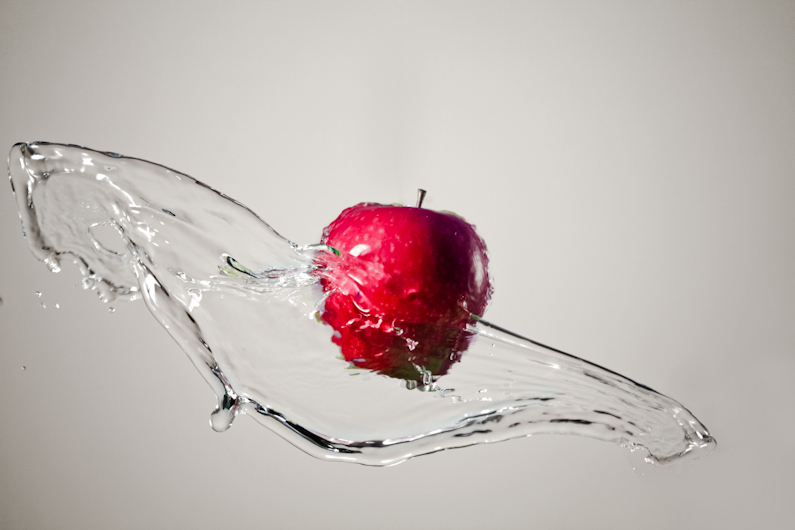 Moreover, the liquid ditch created in the water by the strawberry, and the contrast of its red color, along with the water against the black background make for a perfect poster image. 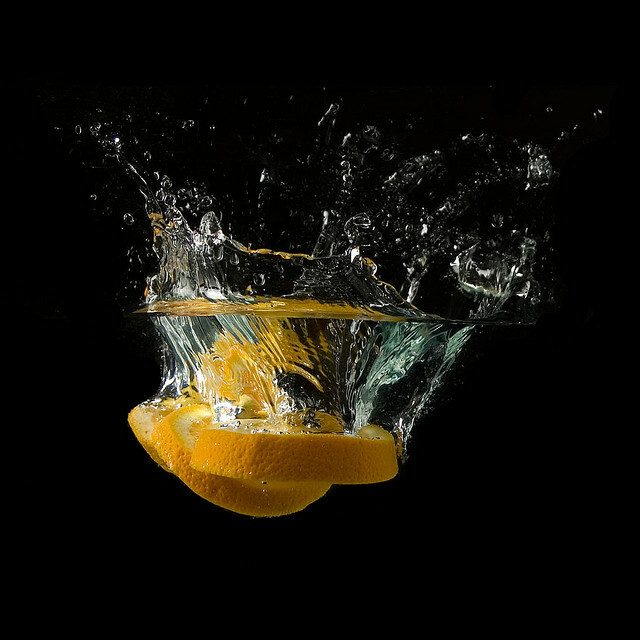 Another beautiful image is of two slices of lemon creating a splash. 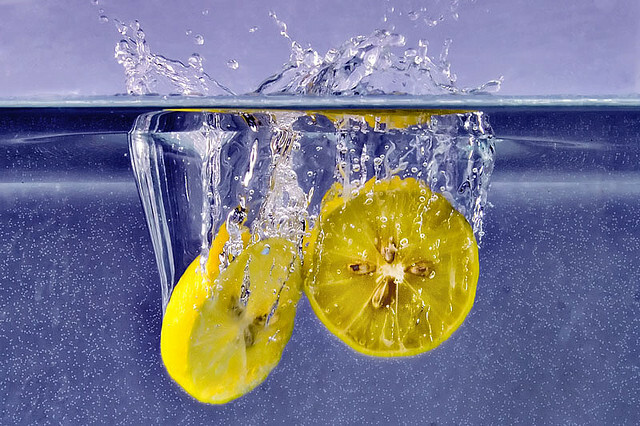 The bluish crystal color of the water and the yellow lemon slices make you feel like having ice cold lemonade. 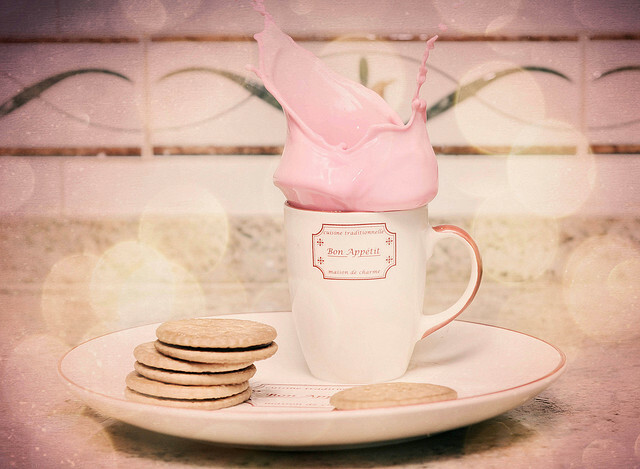 The photographer also used milk in some photographs. 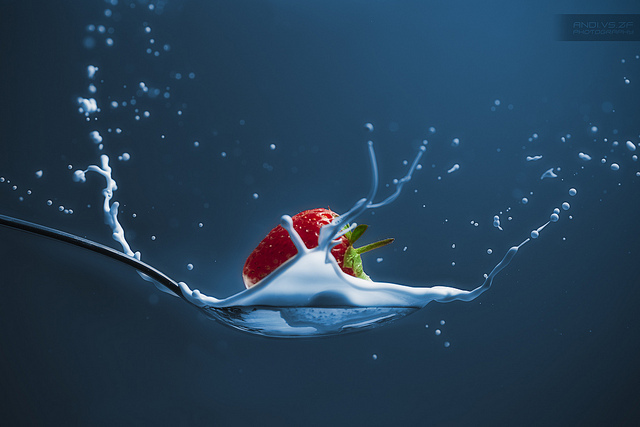 In one of these images, a strawberry creates a splash on milk, on a spoon. 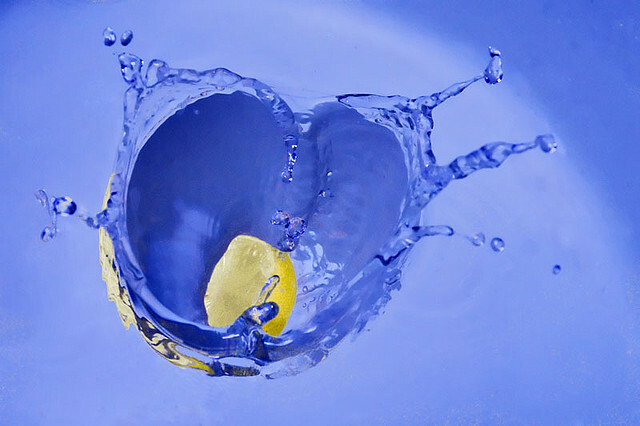 You would think that since the spoon cannot hold much liquid, the splash may not be that impactful. Behold and stand corrected! 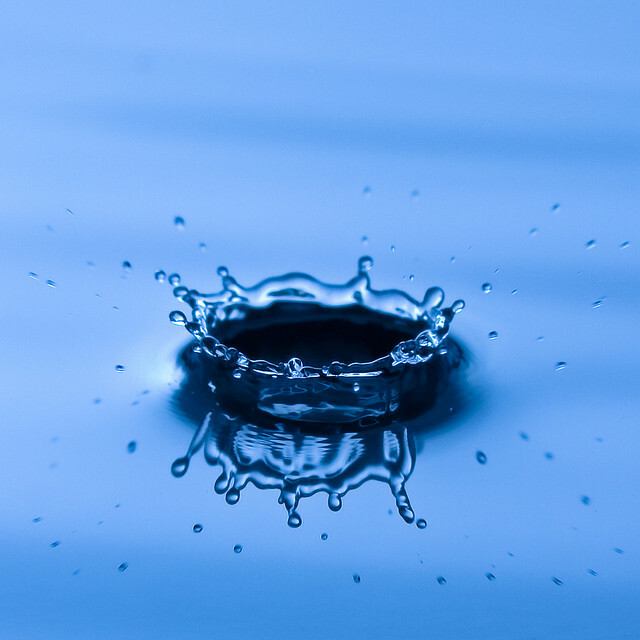 Water is one of nature’s most precious gifts to us. Moreover, it is a beautiful element and can create wonderful images when combined with a lot of other substances. 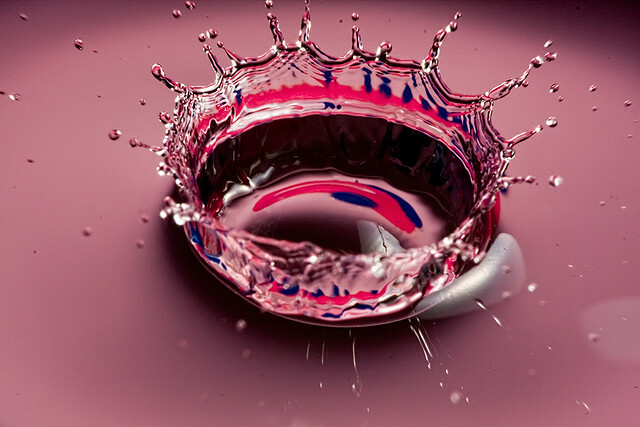 The series of water splash photography is a true verification of that.